No matter how big a city is, the basic goal for a government is to guarantee residents’ safety. National Highways Authority of India(NHAI) was eager to solve some difficult problems caused by the cameras in their old video surveillance system, such as car plate number is not unrecognizable during nighttime. In 2015, NHAI decided to turn to use UNV products. Nowadays, 231 toll stations in Indian have being protected by UNV high quality products for more than 3 years. National Highways are the arterial roads of a country for passengers and goods. 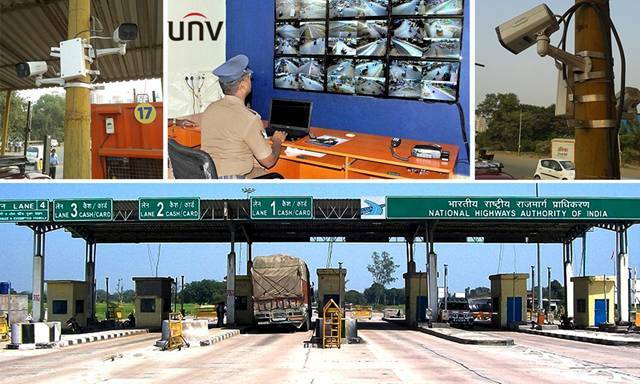 In order to manage the vehicles’ status and information, there are more than 1300 UNV cameras and more than 200 NVRs installed over 231 toll stations in India. Over the past three years, UNV products never failed to provide the best quality image during day and night, ensured every vehicle’s information was recorded and were easy to be searched. Besides, UNV products brought many other benefits to NHAI. For instance, with wide voltage range of ±25%, UNV cameras can work very well under unstable voltage. With ANR cache restores function, even if the network is not stable, the camera can swiftly change to save the video into the memory card. And after the network connected again, the video would be automatically sent to the local storage in the toll station. “I believe in UNV products, because they are stable and professional. They can satisfy our requirement of high quality image during day and night. Except our toll stations, there are some airports and high-end hotels also using UNV products. Uniview now is a very popular brand in security industry and is believed to be able to provide reliable and high quality products.” Said a user from NHAI. Uniview is the leading supplier of video surveillance products and solutions. With more than 12 years’ experiences in IP video surveillance, Uniview now is the 7th largest manufacturer worldwide（IHS Markit）.